Wrexham qualified for the Cup Winners' Cup due to winning the Welsh Cup, which was an entrance point to European qualification for all Welsh sides prior to the inception of the Welsh Football League, at which point the Football Association of Wales (FAW) excluded any Welsh club playing in the English league pyramid from contesting the Welsh Cup, of which Wrexham football Club still historically retains the most wins. Wrexham were eligible to qualify for the European Cup Winners' Cup by winning the Welsh Cup, and played their inaugural match in Europe against Swiss side FC Zurich in Switzerland on 13 September 1972, the game finishing 1–1. In the return leg Wrexham won 2–1, advancing to the second round with a 3–2 win on aggregate. The second round drew Wrexham against Yugoslav side Hajduk Split. Over the course of two games the score finished 3–3 on aggregate with Wrexham matching our more illustrious opponents, but we were knocked out of the competition due to the away goals rule. A crowd of 19,013 saw Wrexham beat Hajduk Split 3 v 1 at The Racecourse with goals by Brian Tinnion (2) and Dave Smallman. 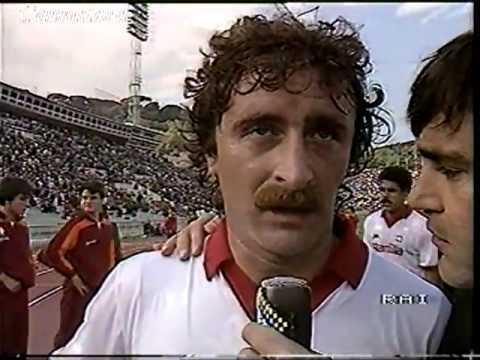 Unfortunately, the Yugoslavian team scored an away goal, which was all important as Hajduk won the second leg 2-0, 3-3 on aggregate, but Hajduk went through on away goals. 1975–76 saw John Neal's team again shock the football world by reaching the quarter finals of the European cup-winners cup after another sparkling cup run and defeats of higher regarded opponents. In the first round Wrexham beat Swedish team Djurgården 3–2 on aggregate. We then knocked out Polish side Stal Rzeszow 3–1 on aggregate. Wrexham then played Belgian giants and champions Anderlecht in the quarter finals. 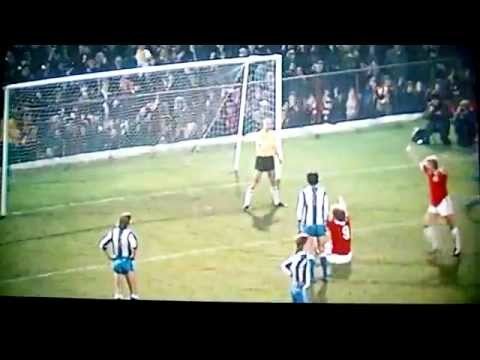 Following a narrow away defeat in Belgium, Wrexham led in the home leg through a 60th minute Stuart Lee goal before a 76th minute equaliser from the great Rob Rensenbrink and narrowly lost 2–1 on aggregate to the eventual winners of the competition, who went on to beat West ham 4-2 in the Final. 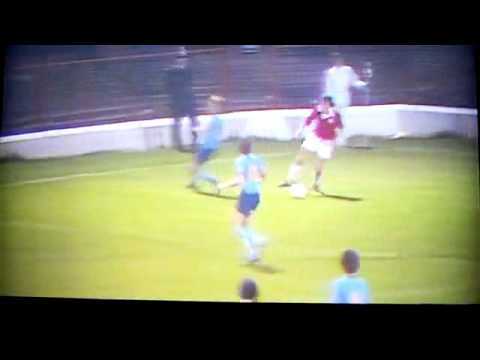 The 1978-79 campaign saw Wrexham eliminated at the first round stage by HNK Rijeka of Croatia on an aggregate score of 3-2, although we came close to achieving a turn around on a 3-0 away defeat in the first leg with a 2-0 home win in the second leg in front of a passionate 10,469 crowd.FC Magdeburg of Germany proved to be too strong for Wrexham the following season. Following a 3-2 home victory, we led twice in the away leg, only to lose the tie in extra time. 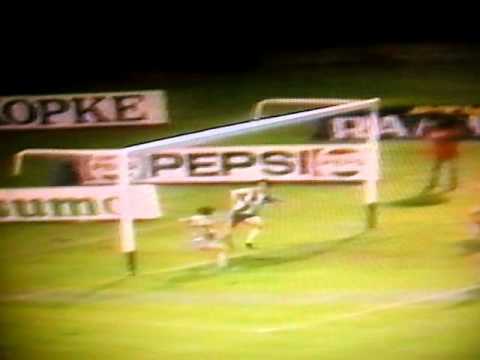 The 1984–85 season saw Wrexham take on Portuguese giants FC Porto in European competition. 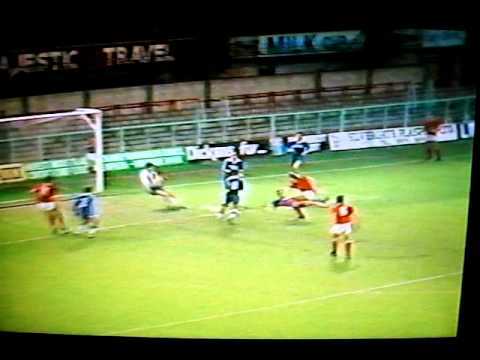 Wrexham won the home leg with a 1–0 victory, but in the second leg Porto showed their class and were 3–0 up after 38 minutes, however Wrexham pulled goals back and the game finished 4–3 with Wrexham advancing on away goals to the delight of their rain soaked travelling fans. The second round draw was to pair Wrexham with Italian giants AS Roma, then managed by Sven-Göran Eriksson. Wrexham lost 3–0 on aggregate over the two legs. 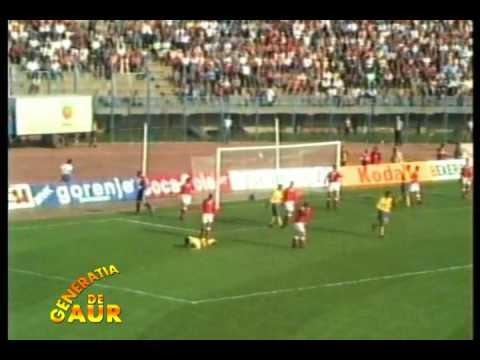 1986 saw Wrexham make a return to European football with a first round draw against Maltese side FC Zurrieq, whom we beat 7–0 on aggregate to earn a second round tie against Real Zaragoza which we drew 2–2 with on aggregate but we went out on away-goals. 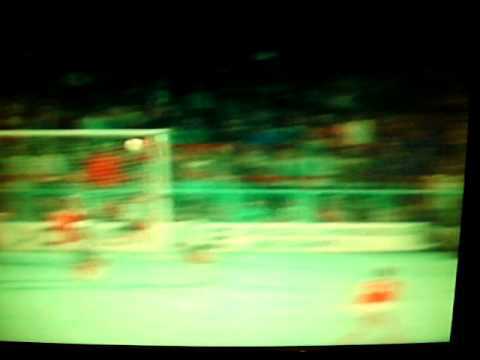 The 1990–91 season saw Wrexham beat Lyngby BK by a single away goal to set up a second round tie with Manchester United. Wrexham were unluckily(!) knocked-out by Manchester United 5–0 on aggregate, who eventually went on to win the trophy. The 1995–96 season once again saw Wrexham in European action, with their opposition this time coming in the form of Romanian team Petrolul Ploiesti; the home leg ended in a 0–0 draw but Wrexham lost 1–0 in the away leg, with the Romanians scoring the only goal of the match, and Wrexham were subsequently knocked out of the tournament. 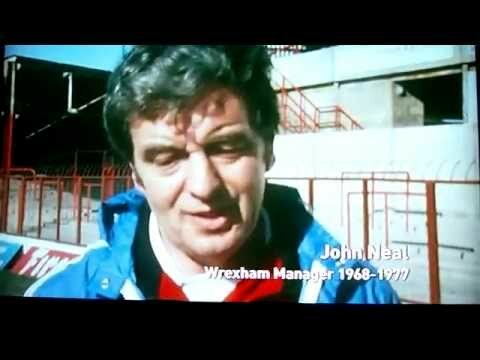 To the present day, that was Wrexham's last competitive match in European competition ,and the European Cup Winners Cup was last contested for in the 1998-1999 season. 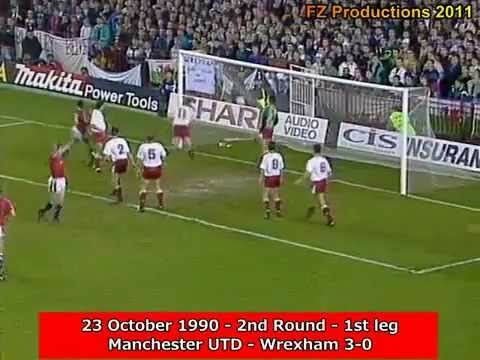 Manchester Utd v Wrexham F.C. FC Porto v Wrexham F.C.